Beginner’s guide – Who is srIman nArAyaNa? ANdAL pAtti takes parAsara and vyAsa to srIrangam temple. vyAsa: Wow, pAtti, its a huge temple. We haven’t seen anything like this big before. We have heard about kings living in such huge palaces. Are we going to visit a king? ANdAL pAtti: Yes, We are going to visit the king of all, rangarAjan here. rangarAjan (the king of srIrangam), we fondly call him as periya perumAL and namperumAL in srIrangam. periya perumAL in the lying posture over Adhi sEshan shows his supremacy or swAmithvam. He waits for his devotees to visit him and showers his blessings when they visit him, whereas namperumAL exhibits saulabhyam, one who is easy to approach, he understands the difficulties of some of his devotees, who might not be able to visit him, therefore he visits them as part of his puRappAdu (savAri/procession). In srIrangam almost throughout the year, we will have namperumAL visiting his devotees and showering his blessings on them. parAsara: pAtti, but we thought perumAL stays in vaikuntam, how come he is here as well? ANdAL pAtti: Yes parAsara, what you heard is right. perumAL is in vaikuntam and he has also come here to be with us. I’m sure you might have heard about the various forms of water: liquid, steam and ice. 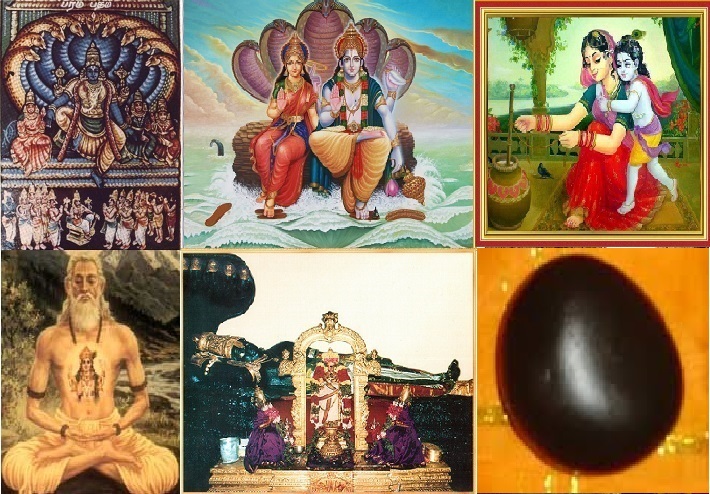 Likewise, perumAL has five forms, they are para, vyUha, vibhava, antharyAmi and archai. 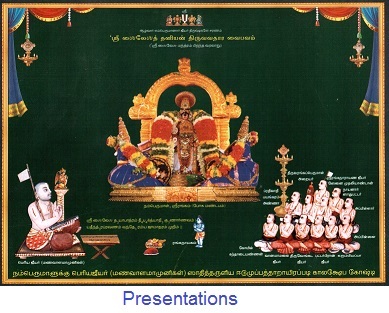 The form that perumAL has taken in srIrangam is known as archAvathAram. avatharam means coming down or descending. As I told you earlier, we pray for the well-being of everyone in this world. srIman nArAyaNa came here as an answer to our prayers. He has a great affection for all of us and prefers to be with us, that is also one of the reasons for his presence as srIranganAthan here. 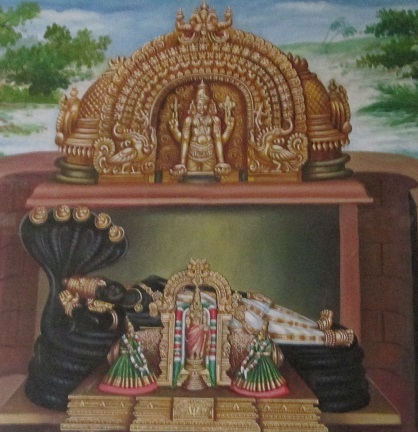 pAtti, vyAsa and parAsara leaves the sanctum Sanctorium after worshipping periya perumAL. 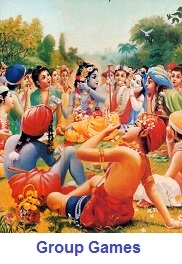 vyAsa: We have also started to like him, after hearing more about him from you, pAtti. Moreover, he looks like us pAtti. ANdAL pAtti: He not only looks like one of us, but he also lived like one of us. In vibhava form, he renounced his supreme vaikuntam to be with us and was born and lived like us as srI rAma and krishNa. 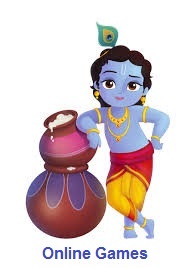 Many of us have special liking for either srI rAma or krishNa, so he decided to continue to be with us as krishNa in periya perumAL’s form and as srI rAma in namperumAL’s form. 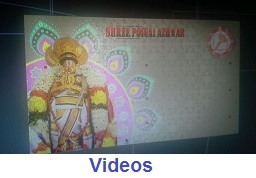 periya perumAL is always seen lying in a deep thought, thinking about his devotees and namperumAL is always in the middle of us, enjoying the love shown by his devotees. All three of them reach their home. 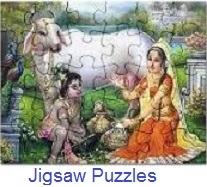 vyAsa and parAsara: OK, pAtti. We are going to the playground now. ANdAL pAtti: Play carefully children and do remember to talk about srIman nArAyaNa as much as possible with your friends as well. This entry was posted in Beginner's guide, Stories on July 29, 2014 by Sarathy Thothathri. Very nice..I can tell this to my 2 year old son. Thanks for sharing. This kind of posts are useful not only for children. This is like a refresher course for adults too. Very good effort. For the outsiders (non sri vaishnavites) wondering what’s this all about. This is detailing the supreme in baby steps. The intention is not spreading, propogating or preaching rituals. The text is a mixture of English, Tamil and Sanskrit languages. Like yOgA this can also help the western world if understood properly. Thank you so much.Excellent effort.